[ADVERT]Melbourne has scores of party dens and hangouts where you can chill out with your friends and folks over the weekends and unwind. 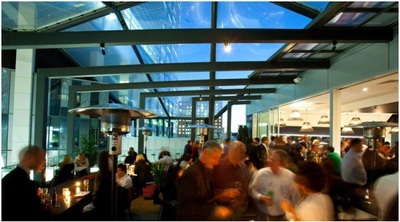 However, many of you may not know some of these fabulous hangouts which are hidden in the lanes and by-lanes of Melbourne CBD. While these places might appear concealed with their lack of lavish signboards and not-so-grand entrances, a step inside these is bound to wow your mind. Here's a list of top four hangouts which must be explored to enjoy the night life of this awesome city. This is one of the finest bars in Melbourne CBD, nestled in the most inconspicuous alley of Drewery Lane. Just like its name Baroq House spells style, finesse and elegance from every corner once you step inside. 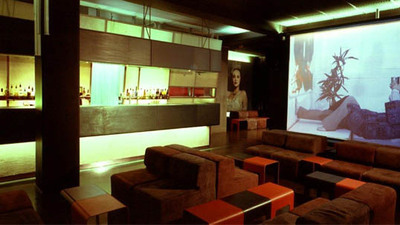 Men and women are dressed in their classiest best at this bar and enjoy its intoxicating and highly satiating drinks in the evenings. It is a great place to celebrate something special in your life, and the otherwise mundane days too. From just a catch up over drinks to functions and events, Baroq House does it all. This restaurant bar is a perfect excuse for those working in the city to break free from the rigors of daily office work. A tiny lane shooting off from Bourke Street will take you to this place and overwhelm you with its liveliness and zesty ambience. Covered roof top terrace with heaters and a perfect backdrop of the city view will help you to enjoy your drinks and elevate your spirit. The bottom floor has regular seating arrangements for those who like to gorge themselves with food and sip some drinks to take it nice and easy. The Bottom End is an interesting combination of pub, disco and diner, and is curled up near the quiet lanes of Francis Street. Great food, thumping music by renowned DJs, and the feisty red and orange lighting guarantee to uplift your mood and get you grooving. Apart from being a great venue for evening hangouts this place also doubles up a function hall for various events, weekday lunches and happy hour smiles. 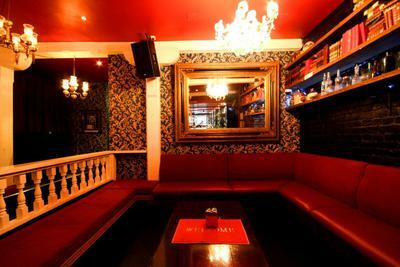 This is another hidden place which is a perfect den for partying and spending some quality time with friends. The ambience is just perfect to loosen up yourself and unwind after a day's hard work. Soft and warm lights when combined with the excellent bar services will relax your mind and transport you into a milieu of fun and rejuvenation. You can also delight yourself with some bar snacks like pizza, cheese plate, wasabi peas, and few others. Those of you who like to smoke it away can thank Loop for its undercover smoking area and beat the wind chill and rains of the city on any day. I tried to get into Baroq House this Thursday, through the two big heavy looking doors...and it was closed! This was 7pm 25/10/12. Not sure why they would they be closed, unless there was some private function going on at Baroq. Did you try calling them up?